The perfect gift to give for a bridal shower, a new mom, or to treat yourself. Pick the style that most reflects the mom's or babies personality. One Hold-Me Bib and two Burp Cloths. 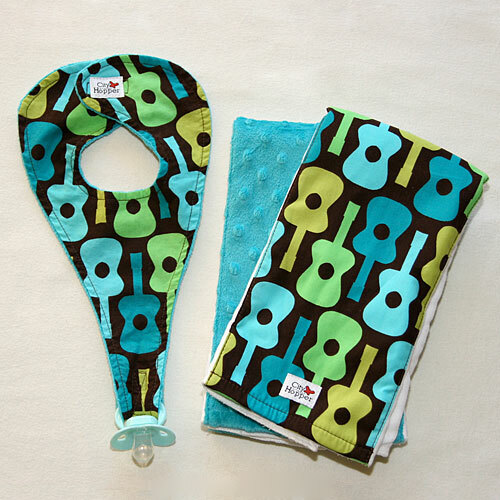 Fun, trendy colorful bib that can hold pacifiers, teething toys, or anything with a ring and two Burp Cloths with coordinating fabrics.